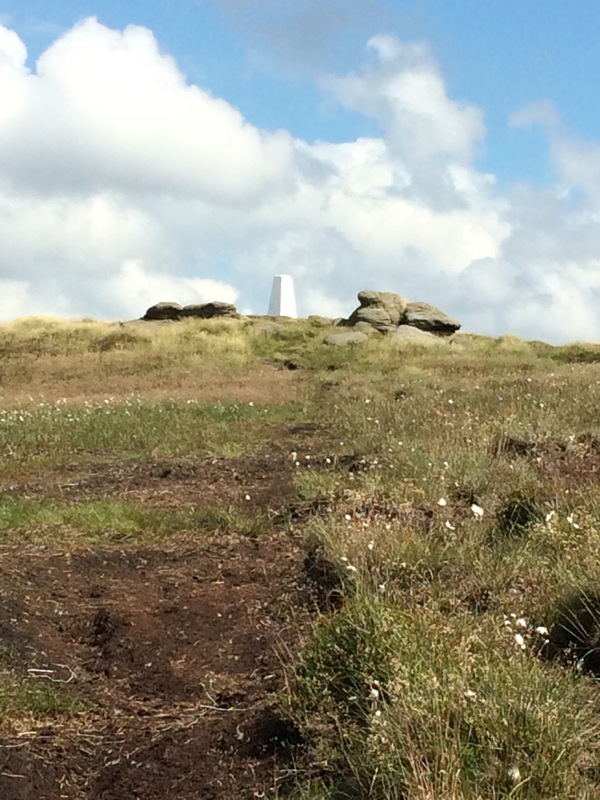 This is walk 16 in Cath Dyson’s “Navigate your way around… The South Pennines”. 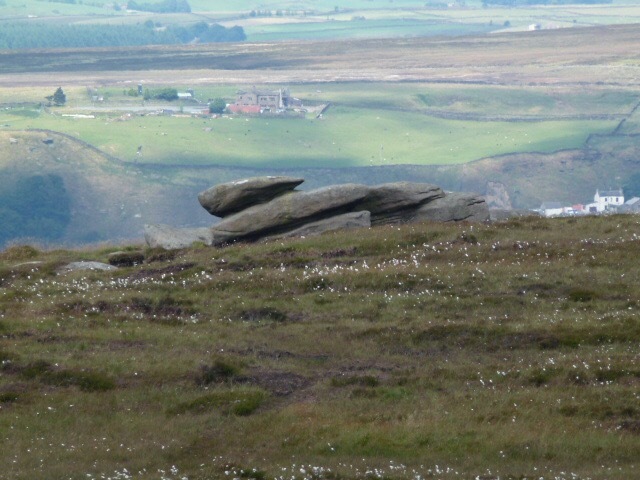 I’d had my eye on Boulsworth Hill or more precisely on the summit Lad Law, because I like the name, for a long time. 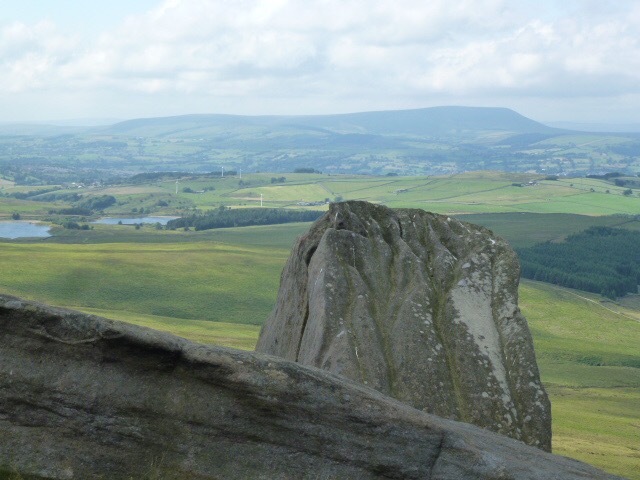 It’s accessible from Walshaw Dean which is one of my favourite spots but I’ve never done it from there. I parked up at Wycoller and walked to the village, checked the time the cafe shut and decided to get back there in time for an ice cream. I followed Cath’s route but omitted the micro nav challenge up on the top. 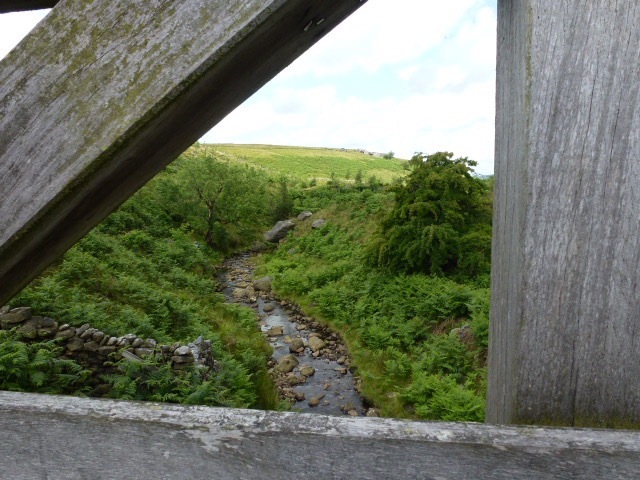 It’s a great walk with lots of variety, history, farmland, moors, access land, green cloughs with tinkling streams, big stones, woods, bog (only a short section, how I missed my bog pal there). When I got to the road leading out of Trawden, I could hear a brass band so I speeded up to get away. It seemed to get louder the further I went. Back at Wycoller, I stopped for a very nice vanilla with a flake stuck in it. This is the cafe where I thought I saw Celia Imrie. 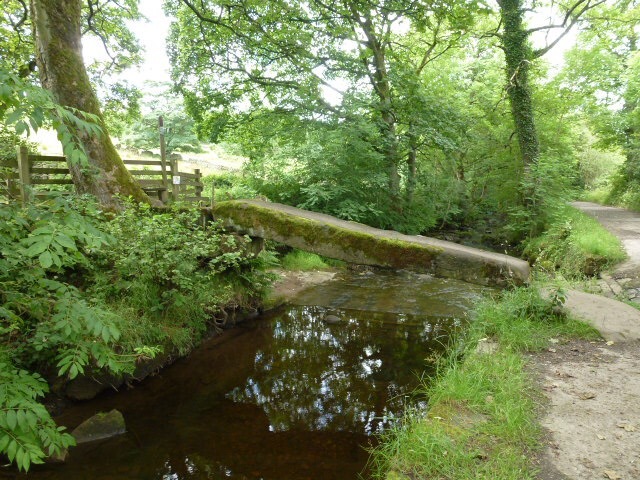 Wycoller is also where Chris saw a ghost on the clapper bridge. There is a well known ghost in the hamlet but that one doesn’t fit Chris’s description.